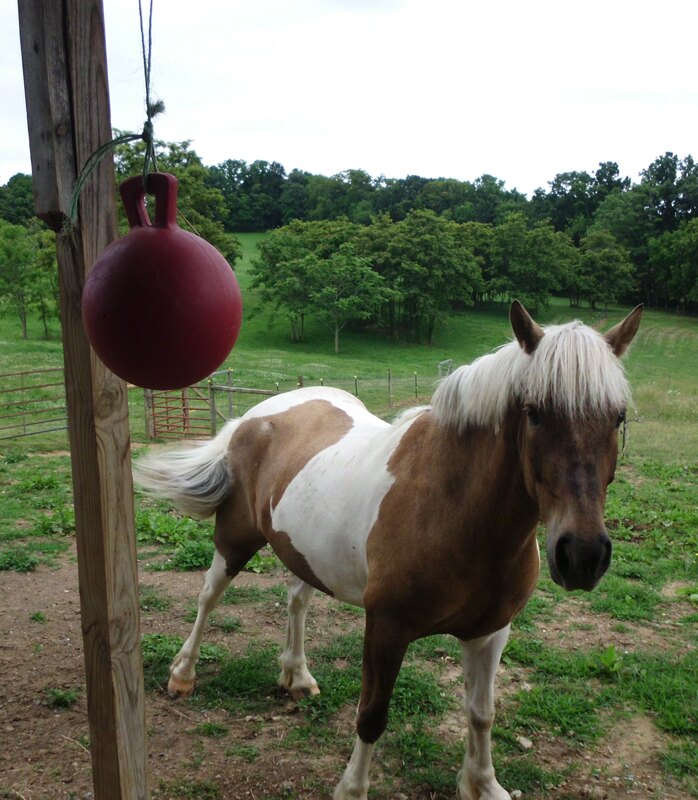 My friend Lindsey picked me up two horse Jolly Balls at an auction a few weeks ago and I got them from her over the weekend. 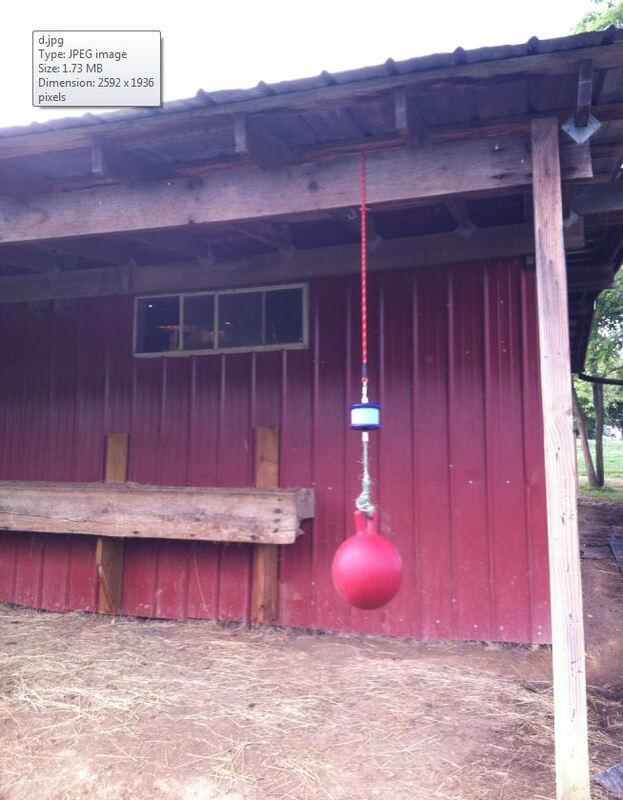 Monday I hung the red one up behind the barn and I put the blue one on the ground in front of the barn. Simon checked them out but had little interest in them while I was there. He was much more interested in what I was doing and if it might involve him getting treats. The next day I found the blue ball down the field, clearly played with. This is the same day that a watermelon flavored Lick It I had ordered from Tack of the Day arrived. 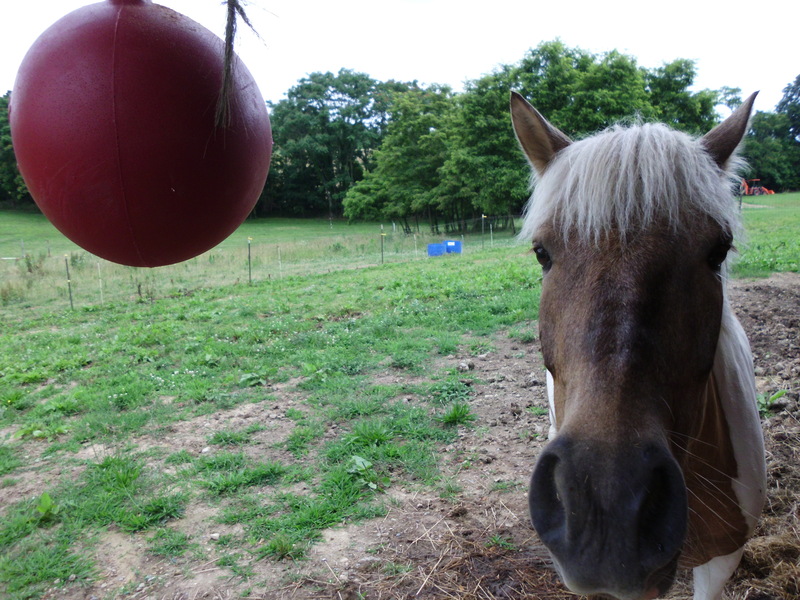 So I hung the Lick It up, and moved the red ball to hang from the bottom of it. 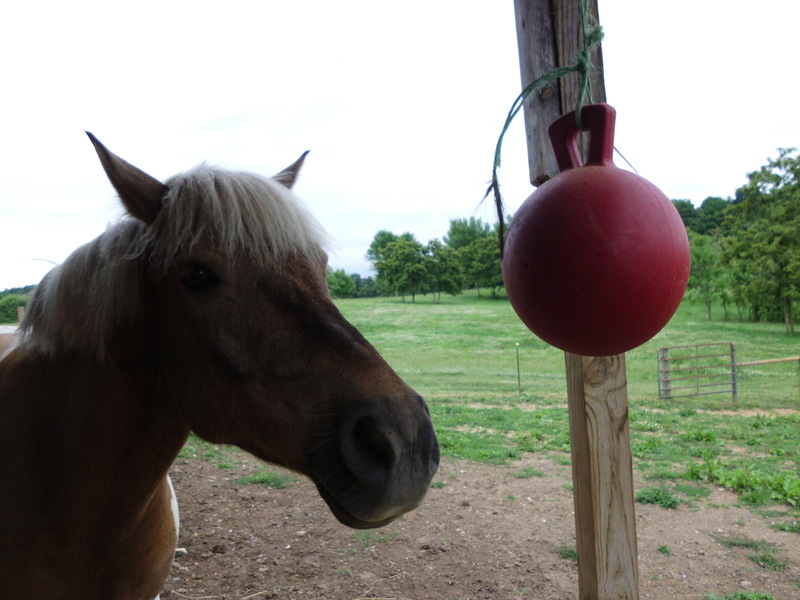 I also moved the blue ball back in front of the barn. 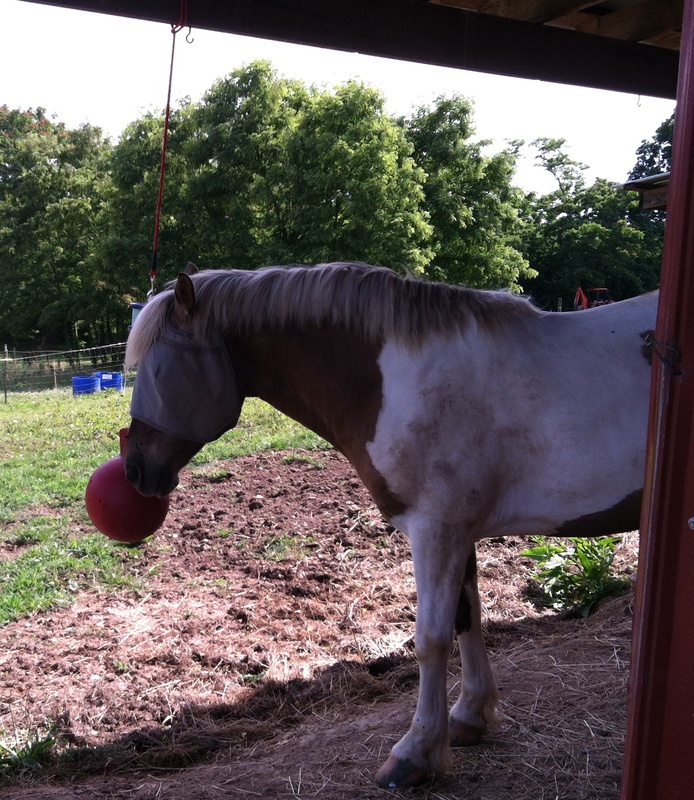 Yesterday afternoon I caught Simon behind the barn playing with the red ball. Woo! He stopped when he saw me and followed me around instead. I also found the blue ball on the other side of the field. When I picked it up to move it back, Simon grabbed the handle. Hopefully all these toys help keep him busy and he won’t be spending time trying to pull off his shoes and looking for ways to cause trouble.